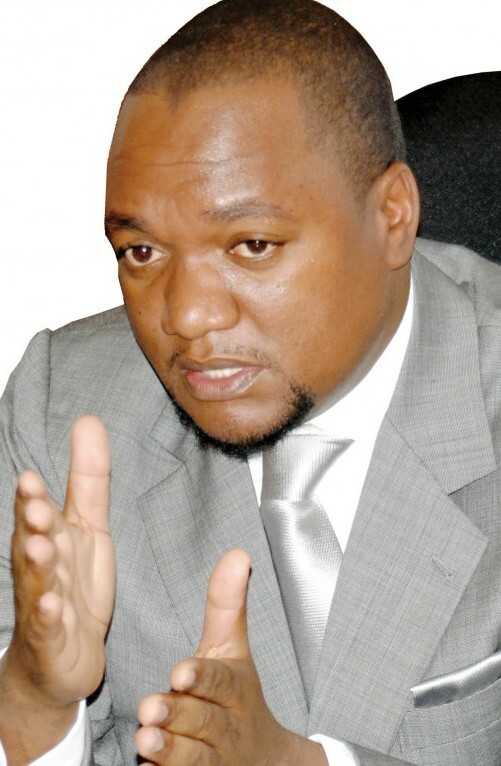 Commerce Deputy Minister Miles Sampa has given-up on his threat to fight and ensure that he drags Zambian Watchdog, an online News Publication to court for defamation. In reaction to the Publication calling him a womanizer, Sampa who is also Matero Member of Parliament stated on his facebook page Thursday morning that some people were abusing the freedom of the press using the cyber internet to slander others. He vowed to ensure that the owners of the publication are brought to justice. Sampa also pledged K10, 000 to anyone who would help him with information to get the publishers of the publication. “Let me state that I have a lot of respect for Mr Richard Sakala of the Daily Nation for one thing; he is not afraid to be sued and go to court. Consequently, he has availed his office or residential address for anyone that may feel defamed so they can sue him if they so wish. He is a Man. There are some however, who have opted to abuse Freedom of Expression or Freedom of the Press and taken to Internet Libel of perceived political enemies. They do this callously under the veil or comfort of World Wide Web because they are convinced that they cannot be ‘traced’. I am making an appeal to all upright and noble people. If anyone knows the name and address of a man or woman, local or abroad, that writes or is an agent for Publishers of falsehood or are into character assassination on the Internet or Facebook for political expediency or just for fan, please inbox me those details or text to +260977770288. A reward of K10,000(rebased) or $2000 if abroad will be availed to Senders of bonafide details sent. Full confidentiality is guaranteed to all informers and reward will be via Western Union if not in person. My hobby for 2014 and on behalf of all those who feel they are victims of this cyber crime, is to locate the abusers so they can see the inside of a court room nearest to their physical address anywhere on this planet. Those who enjoy defaming other people be it politicians, should be brave enough to validate their stories in court. That person you know doing the vice on their keypad, maybe defaming person X today, but tomorrow they will defame you (with a pseudo name) given that they already know your real name. As Bob Marley said ” They can fool some people sometimes; but they cannot fool all the people all the time”. As George Bush said “…its time to smoke them out”. The Publication however went ahead and published detailed information about Sampa’s alleged extra-marital affairs with a number of women from teenagers, University graduates who he is allegedly to have helped get jobs. The Publication threatened that it had many more girls and concumbines and damaging footage of the Deputy Minister. “In response and out of respect for my numerous supporters and advice received from individuals on Facebook, email, texts, phone and other forms of communication; I have decided to abandon my earlier stance to pursue anyone for the defamatory posts over the past few days. This should not be misconstrued as a sign of weakness but a choice to respect the people who put me in the position I am in today; their Member of Parliament. In this very moment I would like to take this opportunity to apologize to those who have been hurt and disappointed in the process. Other individuals have been attacked in the past, today it is me, tomorrow it will be someone else. My attempt to reprimand the cyber attacks was not just about me, but everyone else who was, is and can potentially be hurt by such acts in future if not addressed. However, I realize I am not and will not be in control of what people do or write. With that said, I ask all those affected by this and other such acts to stay strong, keep our heads up, forge ahead and leave it to the public to judge. On a more important and positive note; my allegiance is to Matero constituency. During my time off, I have taken time to read all your posts regarding development issues in our constituency. I am in receipt of your questions and concerns regarding Vubwi road, Lilanda and other areas and/or matters which have been brought to our attention. Let me again take this opportunity to thank you for all the feedback provided. My team is in the process of preparing ways to address the issues brought to our attention. We will be providing feedback in the near future. In the meantime, we encourage you to continue to provide additional feedback. Your suggestions are greatly appreciated and noted as they come in. 2014 is another opportunity for us to work together as a community to better the lives of every individual in and outside of Matero constituency. Again, I would like to thank all my supporters and well wishers; I am enthused about all the upcoming projects we have this year. The best is yet to come…..lets make it a phenomenal year!! Sampa you have been heavily defeated. Hon. Sampa, you are a great man. Only great men say sorry and offer to move on with life. Which of us may cast the first stone on Hon. Sampa?? Let us be as honest as those Jewish men who dragged the poor adulterous won to Jesus. They would have chosen to be hypocrites and stoned the woman. Don’t misrepresent the word of God here. We never inspired to be in the public domain of leadership where the demand on leadership requires one to be beyond reproach. Sampa did. Read 1 Timothy 3: 1 – 7. 4 kwa 0. Be careful Sampa. Do not be too excited. You have embarrassed your family. I hope you have learnt something. Leaders must up hold high moral values that will be translated to youth who are looking up to them. Seven or more aba chende for a married man is not acceptable. Atleast one, yes, one can understand. He is behaving like a doctor, NEXT patient please. Your comment is mixed-up or contradictory. When you say ‘at least one’ you are saying one should be the minimum and the number of concubines unlimited. Miles, ZWD severely “jacked” you! They chewed you up and spat you out. They left you battered bruised and generally “wired”. I was listening to Tupacs “Hit em up” yesterday. Its like the last 3 minutes of the track describe what ZWD did to you and those women. The students won’t be so proud at school any more, the working girls will have to check any attitide they had. For the women that have been listed: everyone now “knows” how you got your jobs and possily how you keep these jobs. Women folk, girls, if you want a job you’ve got to hang around these “powerful” men. Sadly, you’ll have to “work” before you’re employed and do “double shifts” holding down more than one job. Rim jobs, blow jobs, doogy style jobs… And you women complain of lack of employment?! Miles, your apology rings hollow! You have admitted nothing, shown remorse for nothing and are doing a whole lot of face-saving. You are a member of parliament, goddamit! You have shown yourself as an abuser of your position, wealth peoples trust and influence. You have corrupted the morals of these children / youth, corrupted the bank human resource system, corrupted the public institutions where you “found” these women jobs. How many honest, hard working, morally upright youth have lost out at the news paper and bank to satisfy your lust? These silly girls are now corrupted and will forever believe that their bodies are articles of trade. How many others will succumb now and know that they can “shag for a job”? if u think u are hating miles by writing bad about him then u wrong. U are damaging the Ladies u mentioning. We know miles, very hard working. A farmer using oxen to plough is working hard, a miner working 2km underground is hard working, a fisherman working through the night is hard working. Miles Sampa, kindly share you busy schedule. The time you spend heading a team that is planning, costing, meeting constituents to solve problems, …. Maybe I’m being rough but let me know what “hard work” Miles is doing. I thought GRZ and The Post blocked the ZWD site by spend our Tax donations. What a worst spend!!! Hahahaha.